Riku Misora’s fantasy Light Novel series Choujin Koukousei-tachi wa Isekai demo Yoyuu de Ikinuku you desu! (High School Prodigies Have It Easy Even In Another World) gets a TV anime adaptation readying for a release in 2019. How amazing is that! The launch of the official website was followed along with the release of a teaser visual and an 80-second promo video. Additionally, the details of the staff and cast for the upcoming anime are also available on the website. 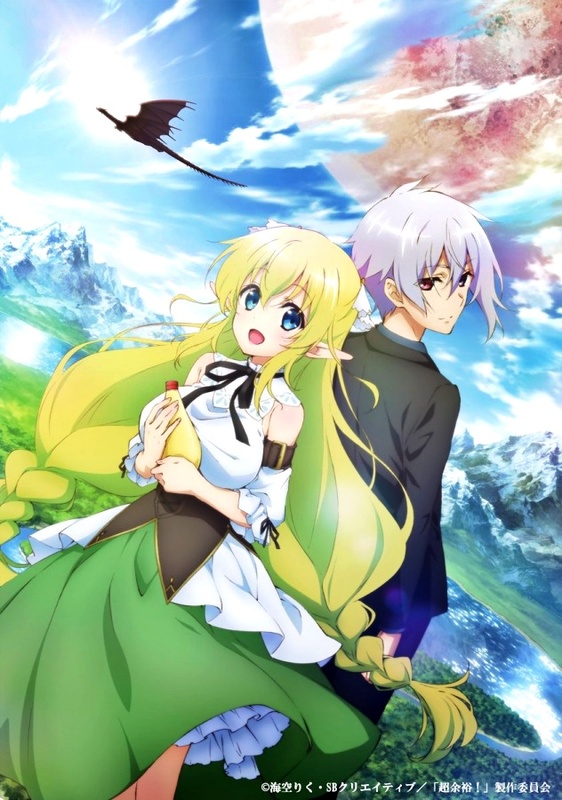 This would be one of the additions to the many isekai anime that have got anime adaptations. More and more isekai anime are getting anime adaptations at an unbelievable rate. Last year we made a list of eight Light Novels that received an anime do check it out. Riku Misora is quite popular for his previous Light novel series Rakudai Kishi no Cavalry (Chivalry of a Failed Knight) which has also received an anime adaptation. The story centers around seven superhuman highschoolers who are world-class geniuses in various fields. Their expertise ranges from governance to economics and beyond. They are easily the best Japan has got. One day, these seven get into a fateful plane accident. When they finally regain consciousness, to their surprise they find themselves in another world. They wake up to a foreign magical world where beast-people are real. Unlike normal students who would have gone haywire, these brilliant students have already begun to dominate the world. From building a power plant in a world without electricity to starting a war against the evil nobles to save their benefactors, they are using their abilities to dominate this new world – all this without losing focus on their goal to return home. The official English title for the series is High School Prodigies Have It Easy Even In Another World and that clearly sums up the series plot in a single line. GA Bunko is publishing the novel series since October 2015. The eighth volume is releasing on March 15, 2019. Square Enix’s Young Gangan biweekly magazine is carrying the manga adaptation of the series since 2016. If you look forward to this series, do let us know in the comments section below.